My name is Amy Peacock and owner of VirtualAthlete, LLC. I am a certified fitness trainer, certified Senior ChiRunning and ChiWalking Instructor, Certified Run Fit Pro and a Skirt Sports Ambassador. 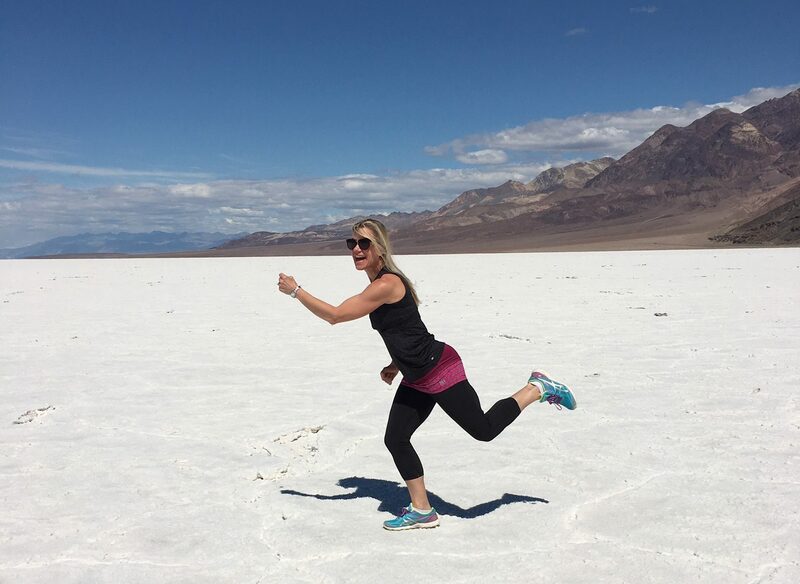 As an activator, fitness trainer and runner my absolute passion is to help you change the direction of your life and health for the better, as I did through exercise, community and running. And to help you get leaner, stronger and happier along the way. My athletic background started early. At age six I started playing soccer. At age 13, unable to go to a real gym, I started my first fitness business by hiring an instructor to teach aerobic classes for my friends and I in our church’s basement in Mclean, Virginia. When I got to college in Athens, GA, I played on the University of Georgia women’s club soccer team (now NCAA Div1) in 1990 and 1991. I graduated from the journalism school with a degree in advertising and double minor in political science and business. After college I ran several 5ks on the weekends, and by my first marathon in 1997, The Marine Corps Marathon, I became hooked on running. I continued running and exercising while working and traveling for Internet start up businesses in Washington, DC. Since then (and moving to NC) I have run the Army 10 miler, the Cherry Blossom 10K, several 5Ks in Washington DC and Virginia, Kiawah Half Marathon, Big Sur half marathon, a Spartan Sprint at the US National Whitewater Center, CPPC Skyline and Southeastern Brain Tumor Foundation Runs, Nashville Half Marathon and ran Charlotte’s Rocktoberfest Half Marathon with a friend while pushing a six year old boy with CF. I also competed with teams at the first World Team Sports Adventure Team Challenge at the US National Whitewater Center in 2015, the 2016 Palmetto 70 Miler Relay, the 2016 first Ragnar Relay in Fort Mill (along with Hurricane Matthew), and the 2016 Charlotte Marathon Relay. In 2004, as a new mom in a new city, I decided to change the direction of my life and focus on family and officially left the corporate world. I was able to change careers, work from home, and follow my earlier passions of fitness, health, running, community and writing. By 2007 I had become a certified fitness trainer. I also kept racing and running and pushing my kids together in their stroller as long as I physically could. Then I started getting running injuries which I could not figure out. That was, until I found out about Chi Running and fixed my form. My injuries healed and I became a raving fan. Got certified in 2008. I have not had a running injury since then. Nothing gives me greater pleasure than passing along this good news to help fellow runners, walkers and exercisers avoid injuries and have more fun. Business to Fitness and Community. In addition to raising my family, leading classes and writing, I focus on combining by passion with my strengths to help people in the community through action and leadership. I have supported ALS and Cancer research, studies, awareness and patient services. In January 2013, after seeing the amazing impact F3 had on men (and my husband), I helped launch the free females fitness group, now called Females in Action. FIA Nation is the “sister” group to the men’s F3Nation which was launched in Charlotte in 2011. At my church, Myers Park Presbyterian, I launched the Care Team Ministry with the help of the parish nurse to create care team circles for those who are in sudden and long term crisis. I have served on the Wellness Ministry, Outreach Center Planning Ministry, and Every Member has a Ministry team as a ministry mentor. For two years I wrote monthly devotions for the Women’s Circle. Now as of 2017, I teach a weekly bootcamp at the Outreach wellness center and am a small group leader for the new Friends in Faith. all love spending time with, as well as being with friends, having fabulous conversations, and listening and dancing to great music. I would LOVE to help you to get back to fit AND run injury free with more energy. Did I add? Help you find your strengths, happiness and passions. Please contact me today set up a call.